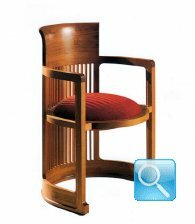 Frank Lloyd Wright Barrel Chair, high quality real wood. Made ​​in Italy (54 x 55cm h. 81). Frank Lloyd Wright DESK, high quality real wood. 100% Made ​​in Italy (W.115 x 62cm H. 89). 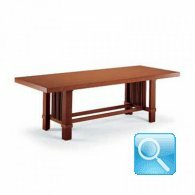 Frank Lloyd Wright Dining Table, high quality real wood. 100% Made ​​in Italy (W.225 x 98cm H. 74). Frank Lloyd Wright Dining Table, high quality real wood. 100% Made ​​in Italy (W.257 x 106cm H. 74). 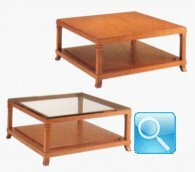 Frank Lloyd Wright Coffee Table, high quality real wood. 100% Made ​​in Italy (W.91 x 91cm H. 41). 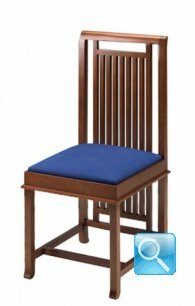 Frank Lloyd Wright Square Dining Table, high quality real wood. 100% Made ​​in Italy (W.126 x 126cm H. 74). 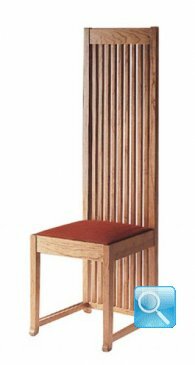 Frank Lloyd Wright Robie 1 Chair, high quality real wood. Made ​​in Italy (140 x 45cm h. 133.5).